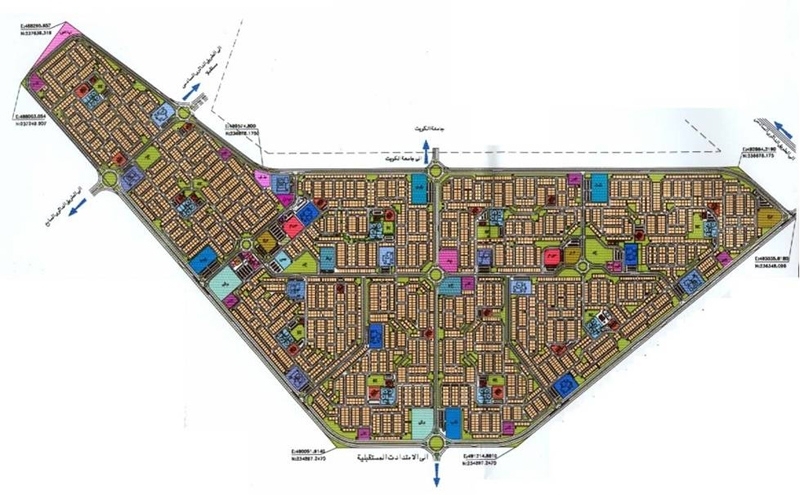 The West Jleeb Al Shiukh Network Development Project covers a total area of 600 Hectares. The area is comprised of a total of 9 Residential Areas, with a total of approximately 5000 plots, each plot with an area of 400 m2. The project includes all development components, including: mosques, schools, health centers, primary & secondary electrical stations, gardens, governmental buildings, shopping centers, neighbourhood centers, police stations and fire brigade stations.